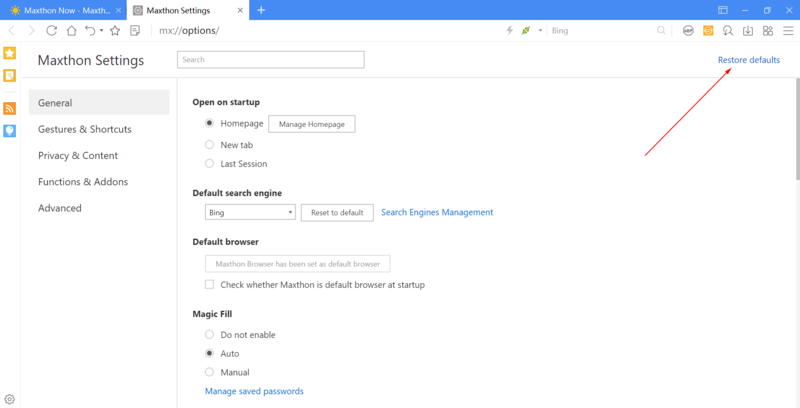 Its been a long time since I used Maxthon but, I'm a little confused about the Youtube that Maxthon takes you to if you type it in the address bar. The Navigation/Search/Profile bar at the top of Youtube is not what you get on any other browser. Several features are missing and it looks odd. However, if I go to google.com itself and access Youtube from the "Google apps" menu I'm taken to the proper Youtube that I'm familiar with. But when I access it from a bookmark or type it into the address bar myself, I end up back in bizarro Youtube world. Try to restore the settings to default then restart the browser. I normally visit YouTube from QA without being loged into YT. When you come into YT using Google Apps, I think you will be loged-in. So,are you kogging into YT when you enter it with a bookmark or typing in the assressbar? There is a difference between loged-in and not states of YT.